Looking forward to No Filter tourstart?? Waiting for the new dates! April 20 - Mick seen yesterday / HONK is out! => And he looks good! He was seen yesterday visiting Melanie Hamrick and her ballet at her Rolling Stones dance. So he was backstage again. See more details and pics usatoday.com, dailymail.co.uk, tmz.com. No news about the rescheduled tour-dates so far. April 12 - Mick still alive! => ... and kickin'! - He just tweeted a pic of him, entitled "A Walk in the Park" and with a grin. Looks promising, Mick, right on! All best wishes from us to you! See that on Twitter, Instagram or with more text at The Mirror. => The Rolling Stones celebrate the Bridges To Babylon Tour! They will publish the complete Bremen concert from September 2nd, 1998, with 22 songs plus add 4 songs from Chicago's Soldier Field - see the setlit below. Release date is out June 21st - you can prorder it at eagle-rock.com. As usual, this show comes in multiple formats - DVD + 2CD, BLU-RAY + 2CD, 3LP (Coloured Vinyl), DIGITAL VIDEO and DIGITAL AUDIO coming soon. April 5 - Mick tweets! "Thank you everyone for all your messages of support, I’m feeling much better now and on the mend - and also a huge thank you to all the hospital staff for doing a superb job." - well that was really nice and it seems as Mick and all of us have a reason to be thankful! April 5 - Mick's surgery was successful! => Big relief everywhere: According to sources, Billboard reports that Mick has completed his heart valve procedure in New York and is recovering and in great health! To be precise, Mick underwent a transcatheter aortic valve replacement (TAVR). He has to rest now for some days while his artery can heal and to avoid the danger of severe bleedings. If you are interested in more details conderning this procedure, have a look at foxnews.com [thx Jean-Pierre!] for what Dr. Marc Siegel has to tell about it. In a nutshell: Mick has made a successful first step for recovery; now let us all keep our fingers crossed that all goes well during the next days! April 3 - Mick: minimally-invasive op? => The Stones management must have been really busy! As you can read at billboard.com or at bbc.com, the tourstart was shifted towards July and the new dates will be announced within the next weeks! Sadly, the date for the New Orleans Jazz festival, May 2nd, has been cancelled. Tough for the organizers there, they have to look for a replacement. All other dates seem to stay in the schedule, including the date in Canada - the exact dates are expected to be stated within the next weeks. 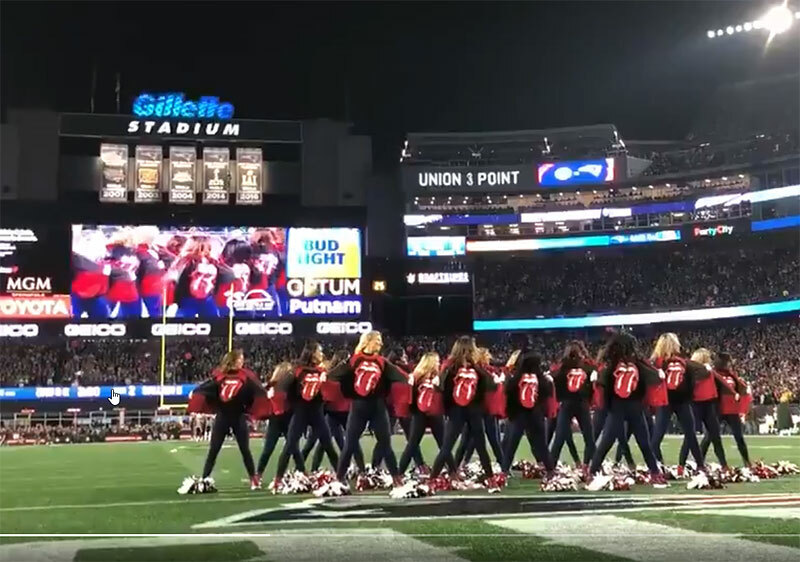 Most dates were booked with NFL stadiums and until the next season, starting September 9 this year, dates can be rescheduled without great difficulties. 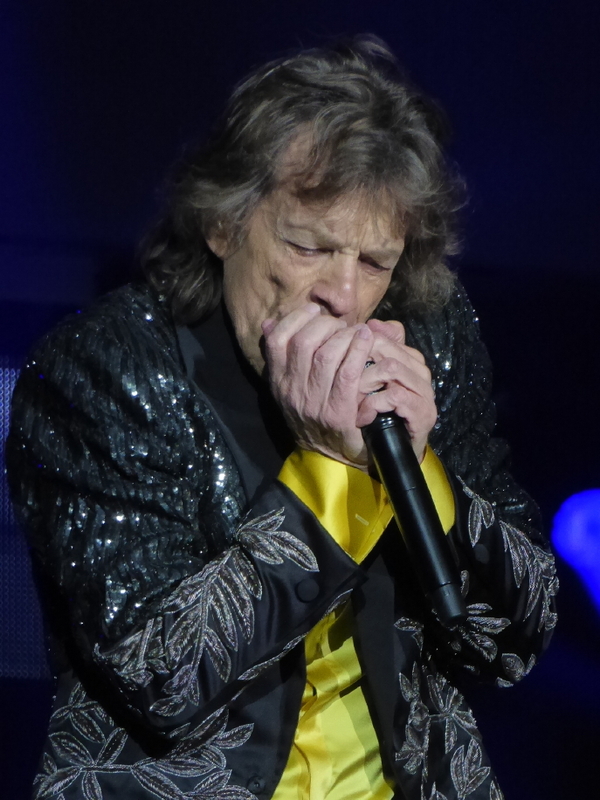 => One more UPDATE: According to mediaite.com, Mick "is set to undergo heart valve replacement surgery in NYC this week ... Mick is expected to make a full recovery and will be back on stage by summer ... The procedure has a 95% success rate. 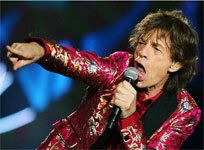 And Jagger, 75, is in extraordinary physical condition". 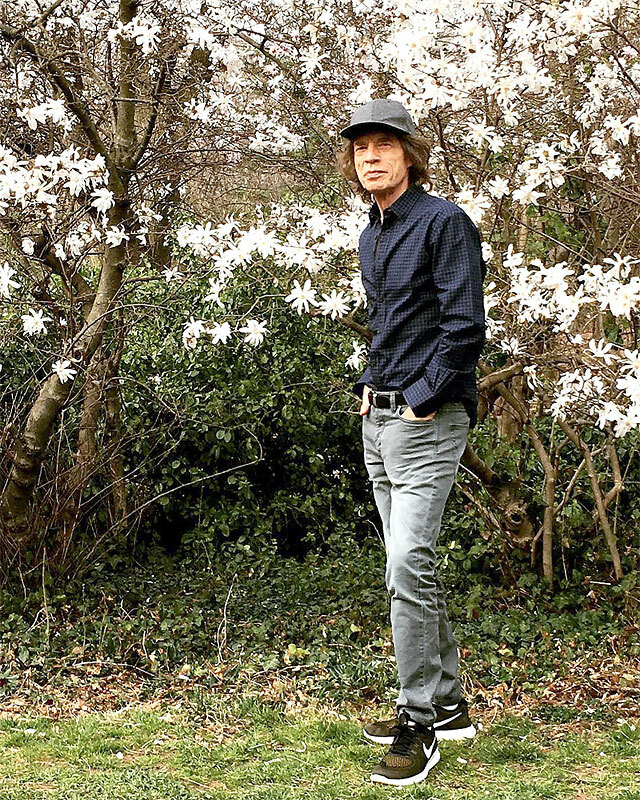 See also rollingstone.com, where it's said that Mick will undergo his surgery this Friday. => UPDATE: Mick will undergo heart surgery this week to replace a damaged valve! According to dailymail.co.uk, Mick is going to have a damaged valve replaced this week in New York. So this explains the need to postpone the tour. Let's keep our fingers crossed for Mick and that he comes back clean and sound after his surgery! => Mick is well - but bored... As the SUN reports, thesun.co.uk Mick is resting in Miami but he's getting bored already. A 'source' is told to say: "He’s massively frustrated, he wants to be getting back out there and at this moment in time he’s feeling absolutely fine. [...] Of course he has taken the medical advice on board, but he looks after himself well and feels totally capable at this moment in time. He’s optimistic he won’t be laid up for long, and at the moment he’s just hanging out in Miami with the other guys.". So far, so good. Again: the tour is POSTPONED, and NOT cancelled! => No April fooling here, promised! According to telegraph.co.uk , Mick is in perfectly good health, but has in fact only injured himself after training for shows. 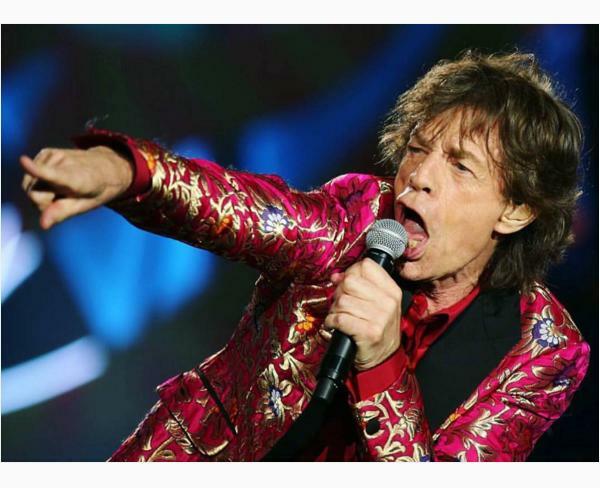 That's no big surprise as Mick, 75, traines very hard, as we all know, and especially in prparation for tours. So basically, he is well, but will need to recover from some injury he got while training - which could be some muscle or joint issue. Whatever be the case: get well soon, Mick. And let's not forget to be VERY thankful for the other band members who seem to have passed the check-up well! The tour will be postponed for around a month and the promoters AEG Presents/Concerts West told fans that their tickets will still be valid at the rescheduled concerts. => Meanwhile, Little Steven has some news for us: He tweets "I’ve been told by someone who knows that Mick Jagger’s ailment is thankfully temporary and insignificant. 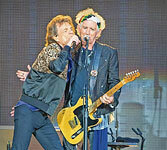 The Rolling Stones’ immortal endurance continues to inspire all of us! Meanwhile, catch my interview with Keith on YouTube this week." 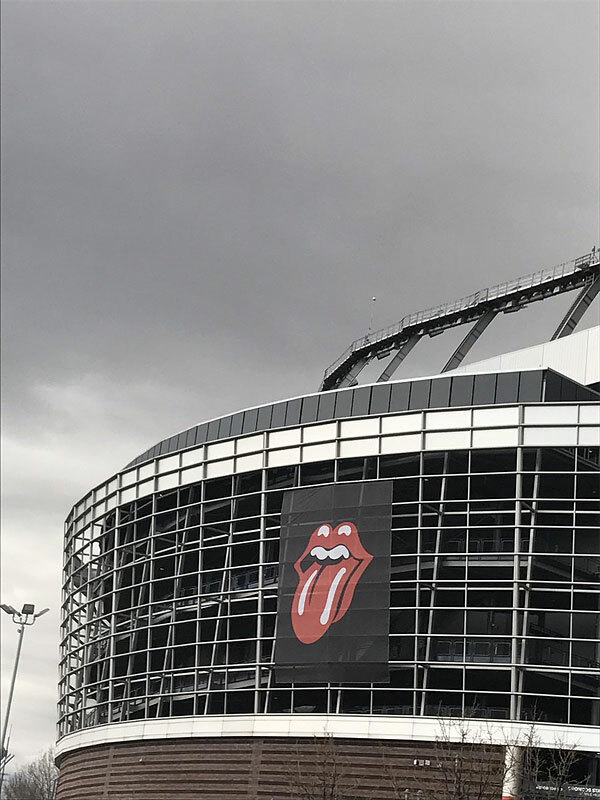 "Unfortunately today the Rolling Stones have had to announce the postponement of their upcoming US / Canada tour dates - we apologise for any inconvenience this causes those who have tickets to shows but wish to reassure fans to hold onto these existing tickets, as they will be valid for the rescheduled dates, which will be announced shortly. 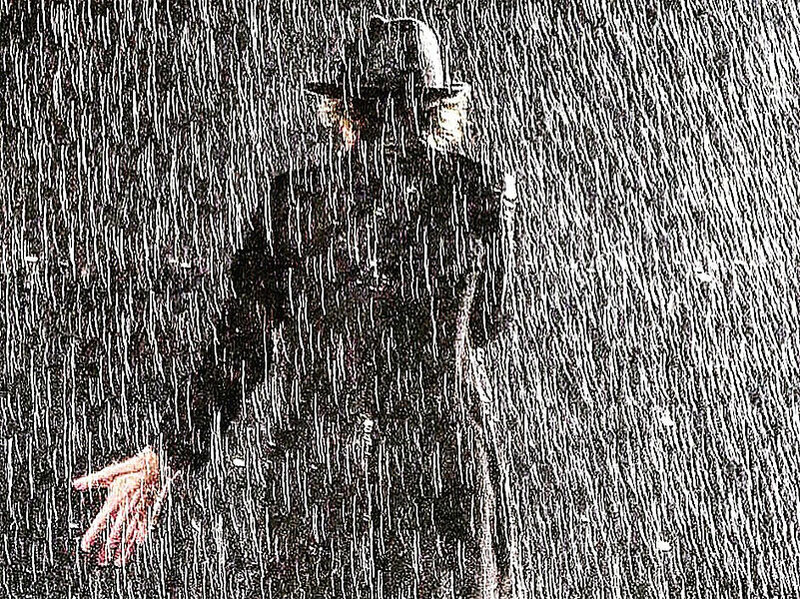 Mick has been advised by doctors that he cannot go on tour at this time, as he needs medical treatment. The doctors have advised Mick that he is expected to make a complete recovery so that he can get back on stage as soon as possible.". "I’m so sorry to all our fans in America & Canada with tickets. I really hate letting you down like this. I’m devastated for having to postpone the tour but I will be working very hard to be back on stage as soon as I can. Once again, huge apologies to everyone.". Ronni tweets: "We’ll miss you over the next few weeks, but we’re looking forward to seeing you all again very soon. Here’s to Mick(strength) ~ thanks for your supportive messages it means so much to us"
Keith, too, says: "A big disappointment for everyone but things need to be taken care of and we will see you soon. Mick, we are always there for you!" Someone 'close to the band' according to pagesix.com said, that during the usual pre-tour check-up docors found something that required 'immediate attention'. With the tourstart 20 days away, I don't think it can be just some case of larygitis, as has happened before. The source also mentioned, that it was not something serious and that - most important to all of us, Mick would make a complete recovery. So, speculations fly ... maybe something like a hip replacement or something? Whatever it is, Mick, all of us wish you a quick and sound recovery!!!! WOAH, folks - that came out of the blue for us! Get well soon, Mick! 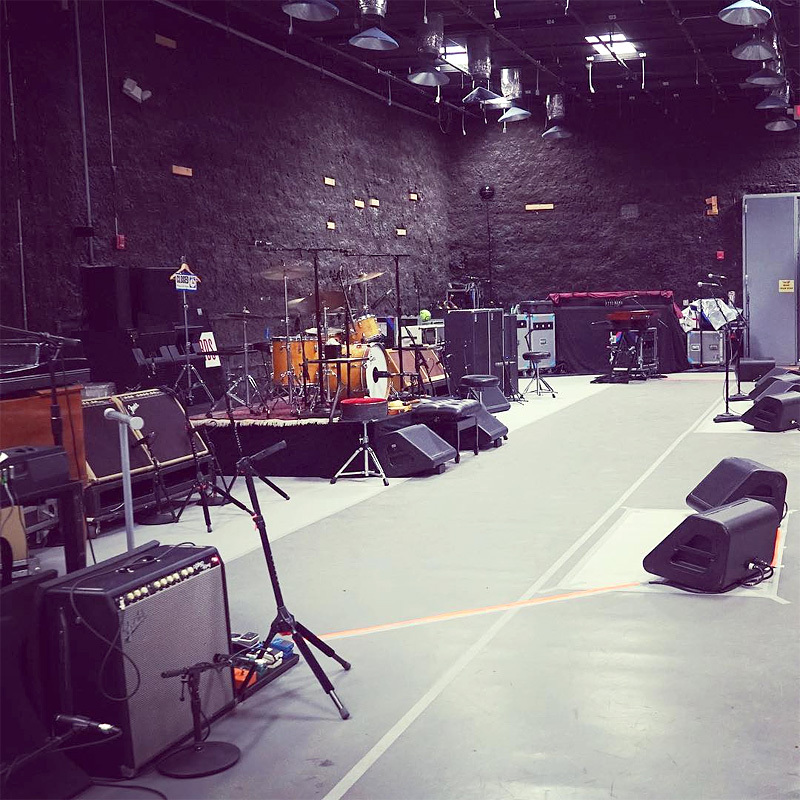 => According to rumors and now a newspaper article, the band has taken camp in Miami for the rehearsals. 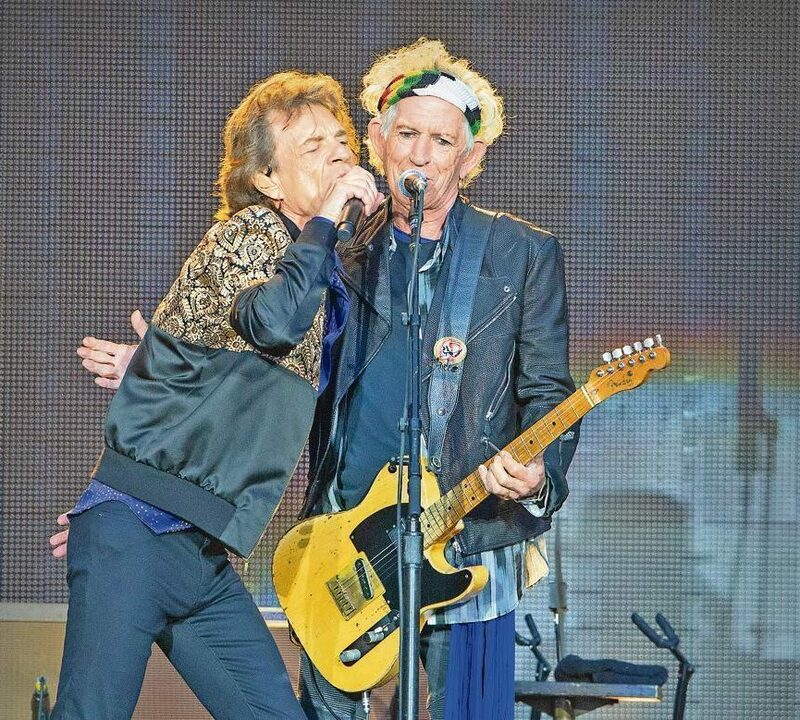 See the Sydney Morning Herald with a nice report about the 30th birthday of "Talk Is Cheap" (recommended read) and you'll find the line about "the Stones head to Miami to rehearse for a 13-date North American tour" near the end of the lines. Hey, anybody from Miami with reports about the songs they rehearse? 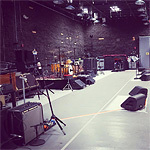 March 27 - READY FOR REHEARSALS!!! 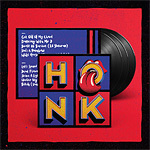 => The Rolling Stones bring out a new Greatest Hits Compilation Set - it has 46 tracks, 8 of them are from live performances. You can pre-order it under this link. 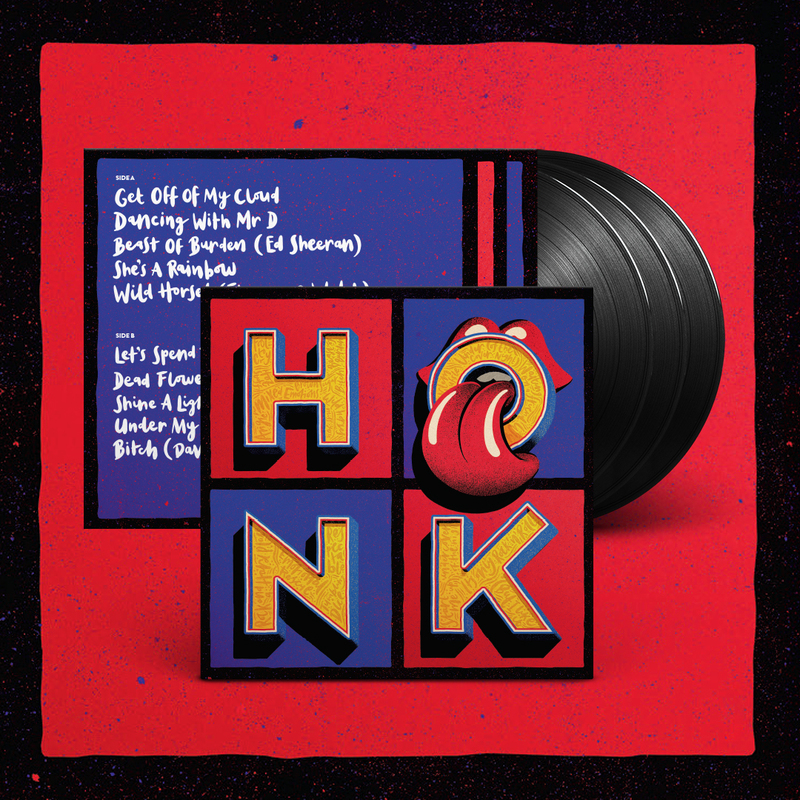 "HONK is the brand-new Best Of compilation album from the Rolling Stones - featuring the biggest hits and classic cuts from every Rolling Stones studio album from 1971 to 2016’s Blue & Lonesome. This is the most up to date collection of essential Stones’ tracks, including 36 fan favourites and rarities, with the deluxe version featuring 10 additional live songs, presenting collaborations with some of the biggest names in music. => Every Stones fan knows Mr. Mayall! How nice it is to hear, that he's just starting a new tour of Europe and the US - at 85! Woah! 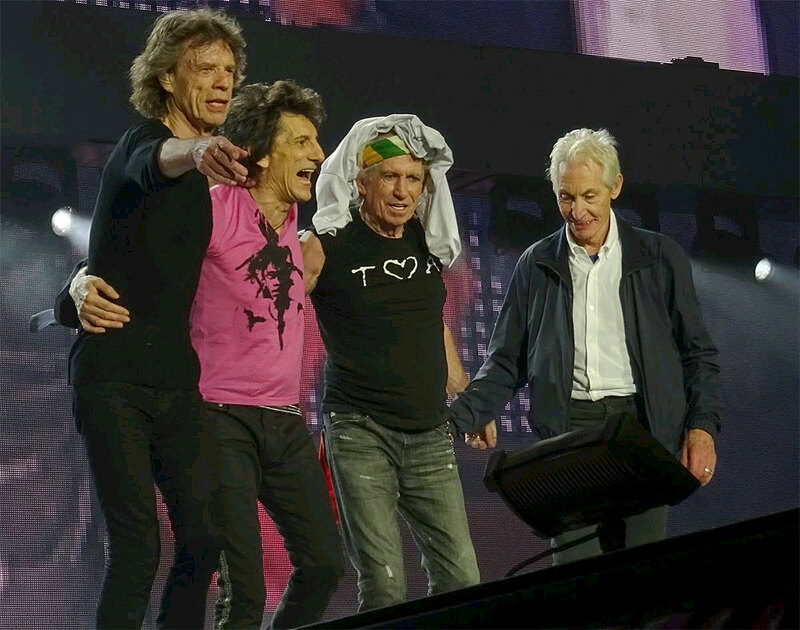 Way to go, my dear Rolling Stones! Check out John's dates and see if you can get tickets: johnmayall.com/tour. He's even doing 6 gigs in London in 3 days - amazing! February 15 - Don't miss the next Mojo! => Fan pre-sale starts on Wednesday 13th February at 10am EST, until midnight EST! Get your TICKETS here and use the pre-sale code: "MIDNIGHT"
February 9 - CANADA date added! => WOAH! Yep, there's a date for TORONTO now, can you believe it!? 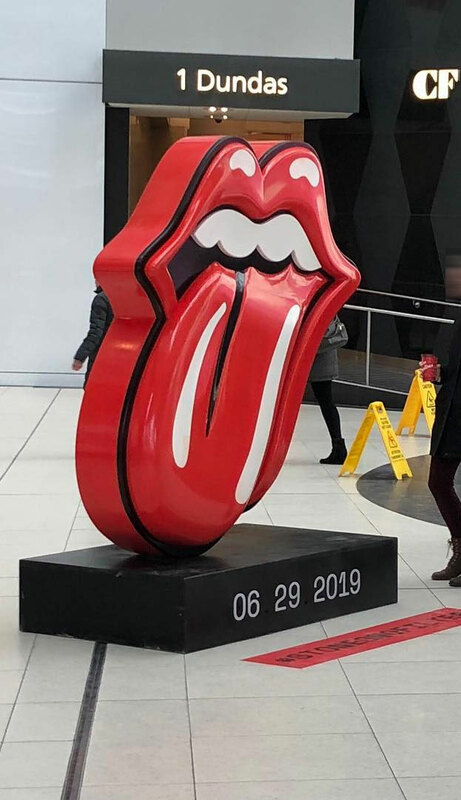 Thanks to Arthur Calen - he sent me a pic from Union Station in Toronto (see below) - they have put up a very nice, big tongue logo with the date 06 - 29 - 2019 added behint. So here we go, folks: Toronto/Canada added to the list, Hurrah! Check out the Toronto Sun or barrie360.com for more on this... and, hey, while the boys are in Toronto - how about another visit to the EL MOCAMBO!!!?? February 8 - Darryl at benefit gig in Chicago tomorrow! => Benefit Concert: DARRYL JONES JAMS FROM THE HEART FOR A FRIEND IN NEED! Location: The Promontory Darryl will be joined on stage by Nicholas Tremulis, Bernard Crump, Chuck Tripp, Brian Reynolds, Keith Henderson, and many more! General Admission: $25, doors open at 3:00pm, end will be at 8:00pm. Darryl's childhood friend and fellow musician, Brian Messiah, had an accident last year and is unable to play his guitar at this time. "Jams from the Heart" is being organized by Brian's son and a group of musicians/longtime friends to raise money for his medical treatment and continuing care with the goal of hearing Brian play again. January 30 - Mick on Twitter/Instagram: "2019 - all about writing, recording....and a tour !" 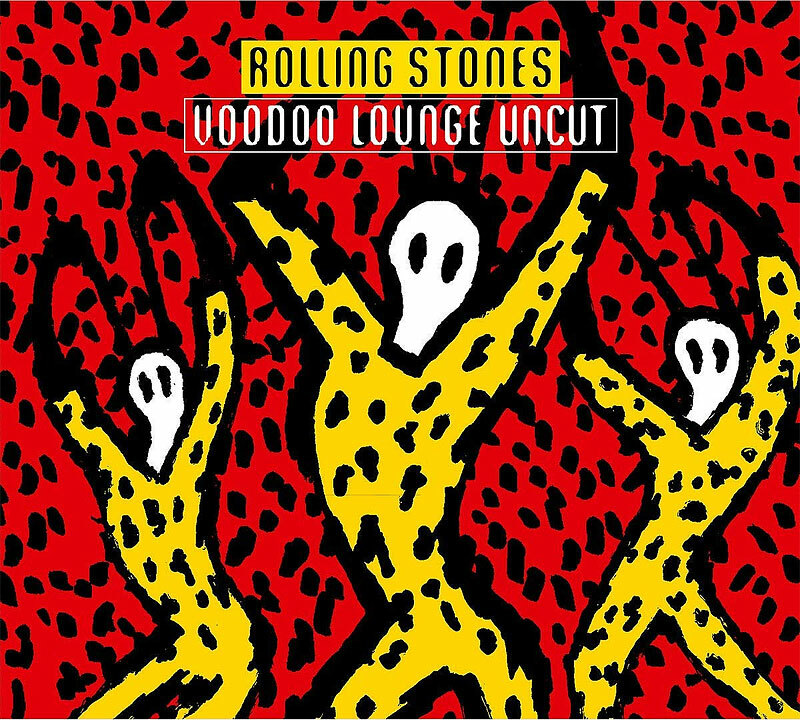 => There's 22 seconds of Mick playing a Tele and singing the refrain of a new song of his, "Really wanna tell the truth" sounding like a danceable groovy track; whether this has to do with the new Stones album remains unknown. Mick feels fine! Watch it on Instagram, too, if you prefer. January 29 - Alert: Keith is feeling bored! 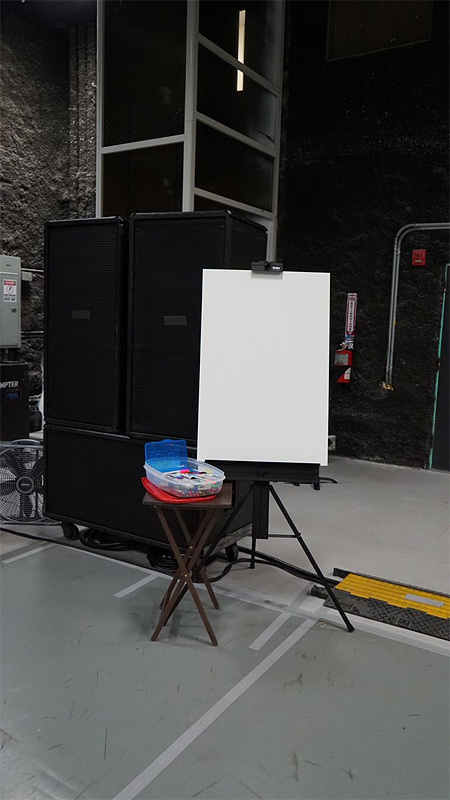 => Keith, too, is about to join the band this week, heading for the studio, because the have 'an accumulation of stuff' to play around with... Keith comes in at 1:42:00 - He's interviewed because of the 30th anniversary of "Talk Is Cheap", so give him a listen. Near the end of the interview, we come to hear one of the bonus tracks, namely "My Babe", at 1:53:14. Or, you just have a taste right here - enjoy!!! => It's THURSDAY, MAY 2! 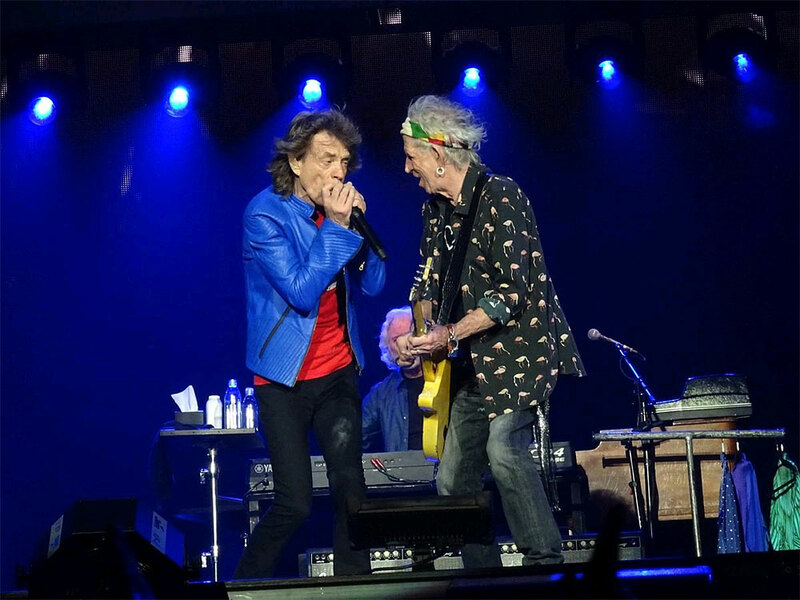 At that day, the Stones are gouing to hit the stage at the 50th New Orleans Jazz & Heritage Festival! This was also announced by Cleveland.com yesterday. What a nice confirmation of all the rumours we have had during the last months... of course, they are the headliners. December 31 - Happy New Year, Folks! 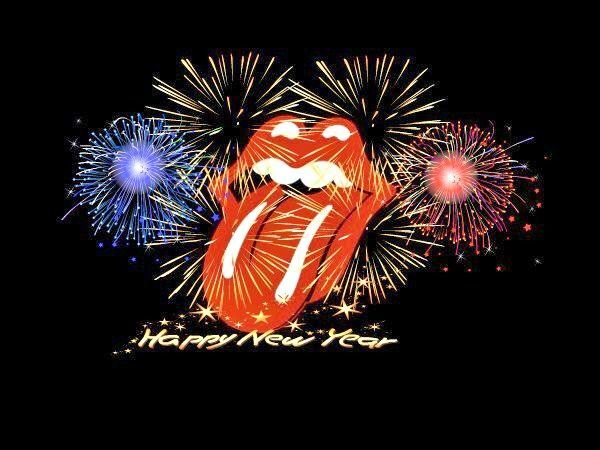 => Dear friends of stonesnews.com - I wish you all a very happy, healthy and joyous new year 2019! We all have reason to look forward to 2019 with an US-Tour of our beloved band and maybe even a new album. WHAT A BAND! WHAT A FANBASE! - GOD/ALLAH/JEHOWA/SHIVA/BUDDHA BLESS THE ROLLING STONES!!! See you all soon! 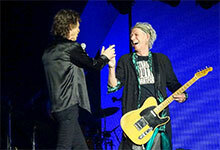 => Long live Keith Richards & The Rolling Stones!!! 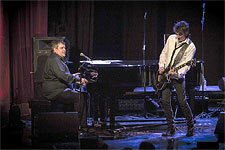 => "Get Back" was the song - and Paul was joined onstage by Ringo and Ronnie. Paul McCartney played a gig last night at the O2 Arena. See rollingstone.com for a nice report. Also reporting is the dailymail.co.uk with pics from Stella McCartney's Instagram - nice!! => Yup! Keith has 3/4 of a hundred very soon! Theodora has her show on Radio Sirizus XM and hosted her dad for a 1 hour show. She explained: "Hey there boys and girls. 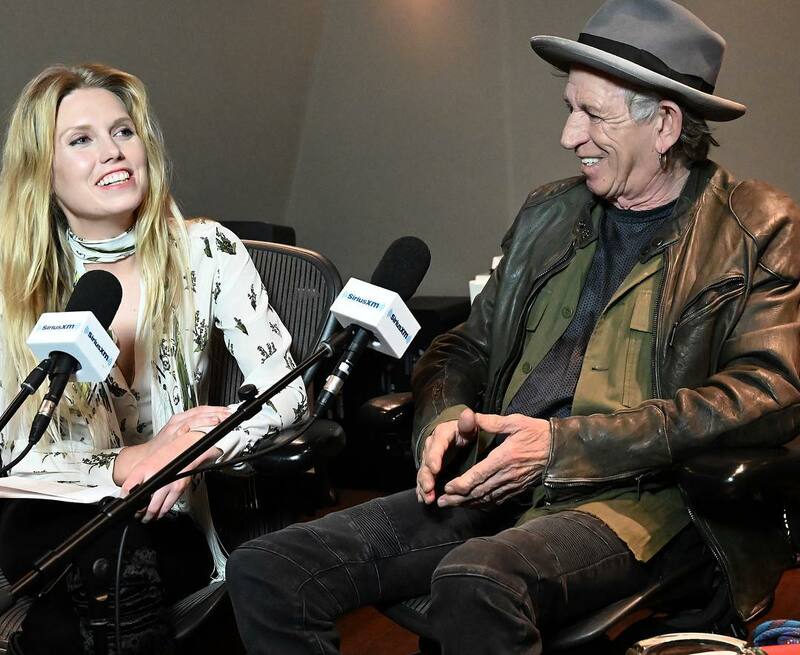 This is a special birthday episode of #offthecuff @siriusxm with me and daddio @officialkeef coming on DEC 18 at 800 PM EST channel 28 The Spectrum. This was a heartfelt one for me and dad didn't hold back on me! He schooled me, schools me and we have a lot of laughs x love you dad " (go see the other 2 lovely pics of daughter and dad on Instagram). => How brave can a man be? Almost 75, Keith is kicking drinking. Amazing! Just days before his 75th birthday, we hear that he's going to stop it (rollingstone.com), because it get's boring, basically. As for the last tours in Europe, you could tell that Keith's playing and presence looked clearer. The story is also told by dailymail.co.uk. So - gold rings on ya, Keef, new horizons in sight! - What a band!! 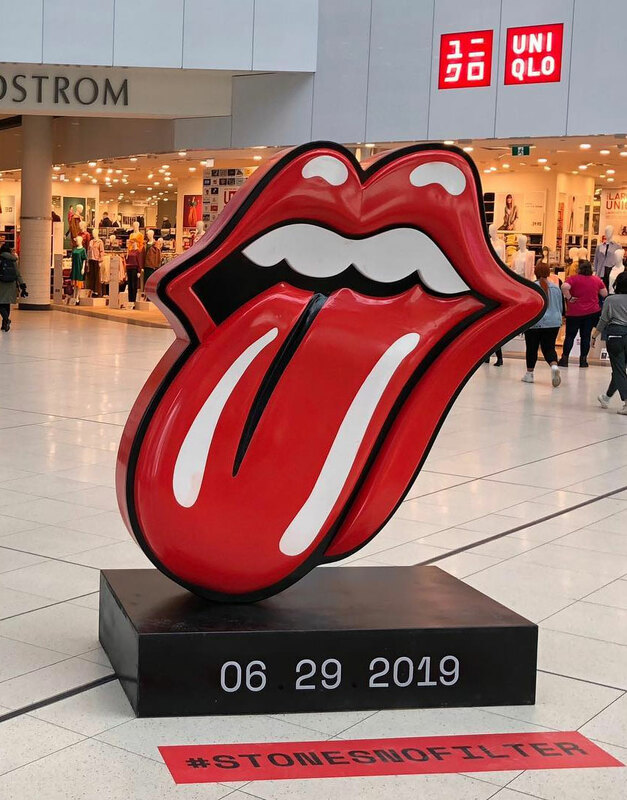 => Since long there were rumours, that the Stones would play the Fest... Now the fest announced that it is adding an extra day to the festival making Thursday, April 25, the opening day until April 28, then again on May 2-5. Compare to the dates of the No Filter Tour above and you can imagine, that a spot for the Stones could be possible, right!? December 4 - What's Ronnie doing? => Yup, lots of ticket sold already, Lucky Dips are already gone, it seems! Still there are lots of tickets left. Interesting article on this subject: "Ticketmaster Has Its Own Secret 'Scalping Program,' Canadian Journalists Report"! 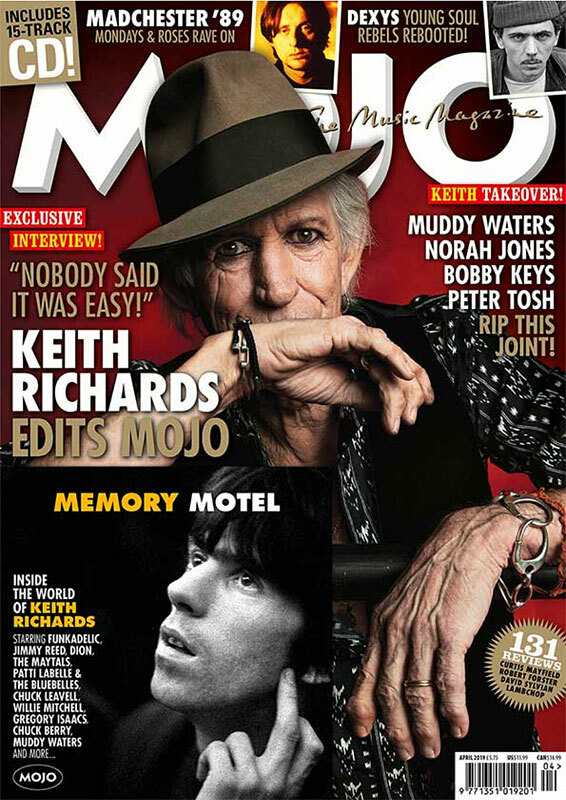 => Check out the interview with Keith in Rolling Stone online: "Keith Richards on Rolling Stones' Stadium Tour: 'Maybe This Will Be the Last One'" where he utters among other things "... there might be a session sometime in December ..." - about possible studio works, which sounds promising! November 29 - 2 more dates for June 2019! => Here we go - 2 more dates added, "due to demand"! 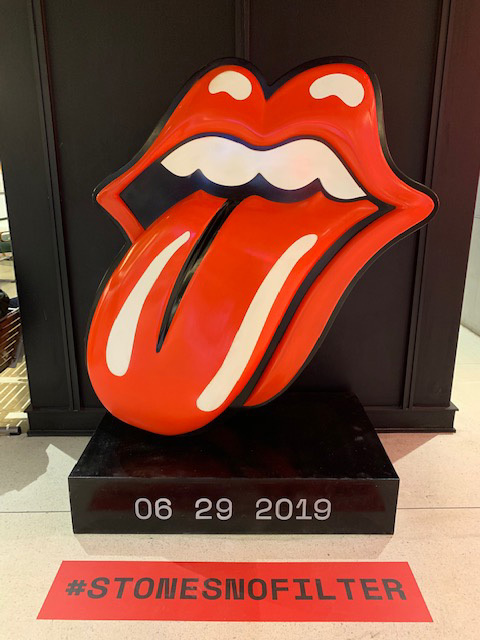 So, hurry up, folks: The pre-sale for these new dates starts TODAY (Thursday 29th) at 10AM local time and all pre-sales via rollingstones.com will END TONIGHT at 10pm local time. Use the code MIDNIGHT (sic!) to purchase your tickets during this time. => As most of you, I got my presale code: "MIDNIGHT"! The band tweeted: "Thanks to all those who signed up to receive the pre-sale code, as per the form, the code started to send out FROM 11am EST. As you can imagine it is a very large list and will take some time to reach all. 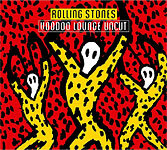 Thanks for your patience" Go to rollingstones.com/tickets/ and check the links for the presale which starts in some hours, depending on which time zone it is in. So get ready early enough! Good luck for you all! November 22 - Get your PRE-SALE code now! 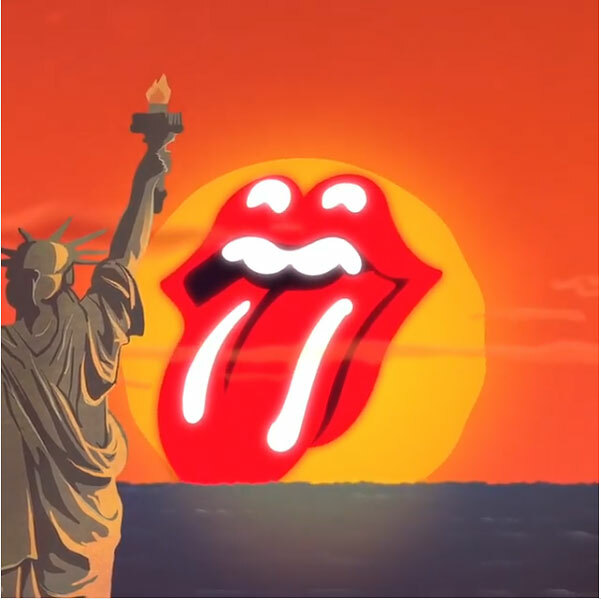 => In order to receive a pre-sale code allowing early access to tickets for the Rolling Stones US No Filter Tour 2019 click this link NOW! => Are we lucky fans or what!? After the announcement yesterday, let's check for the tickets and other relevant informations. If you want to read a transcript of yesterday's announcement, you can do so at forbes.com. Also, you can listen to it again here. As for the rumoured May 2nd New Orleans Jazz Fest date, that is missing from the above list, maybe because the organizers of that festival will announce the lineup in December - but we can have solid hopes, that this gig is happening. 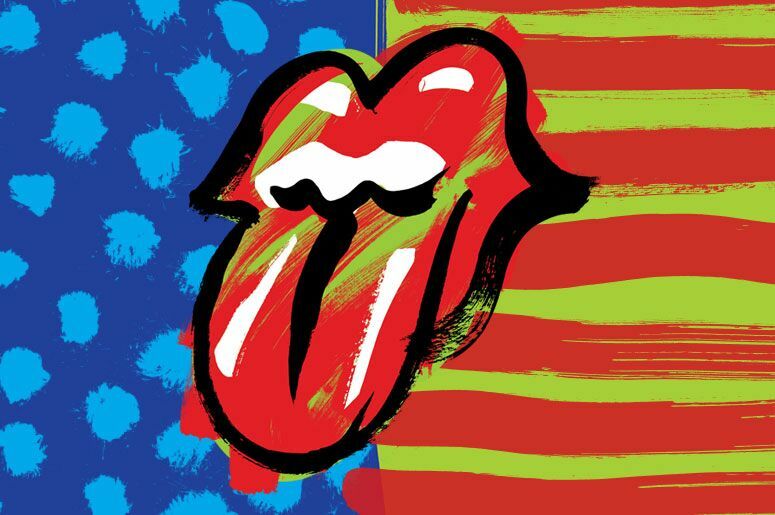 Don't forget to sign up at rollingstones.com/tour before next Tuesday, November 27th in order to get the presale codes in time. If you check for Ticketmaster or American Express, note that there could be different dates for the pre-sales. => rollingstones.com gives us this info: There will be a special fan pre-sale on Wednesday 28th November at 10am (local time) via rollingstones.com/tour. If you want access to the pre-sale then enter your details here by 9am EST on Tuesday 27th November and you will be emailed a code the day before the pre-sale begins. Tickets go on general sale on Friday 30th November at 10am (local time). November 18 - Expect the TOUR ANNOUNCEMENT TOMORROW! => Here is the message from iHeartMedia: iHeartMedia is partnering with The Rolling Stones to announce their upcoming tour. 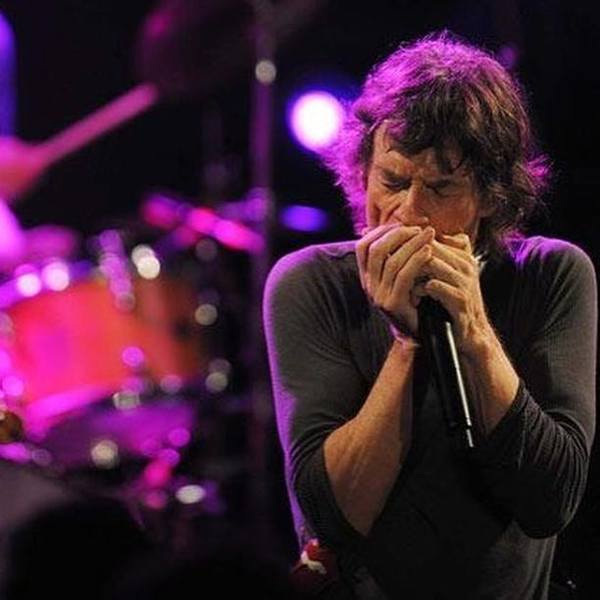 Listen to Lonestar 92.5 this Monday at 2 pm as Jim Kerr will have an exclusive interview with Mick Jagger and Keith Richards to break down all the details. W-O-W, so here we go again! What a band!!!!! 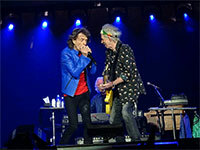 => TICKETS will go on sale Friday, November 30 at 10 AM at rollingstones.com!! By now, there is a total of 16 dates in the talks. Also, by the end of this month, a studio in Paris has been booked, so that would point towards some (hopefully finishing) touches of the new album. Maybe it even could be ready and out by tourstart next year? That would just be awesomely wonderful! 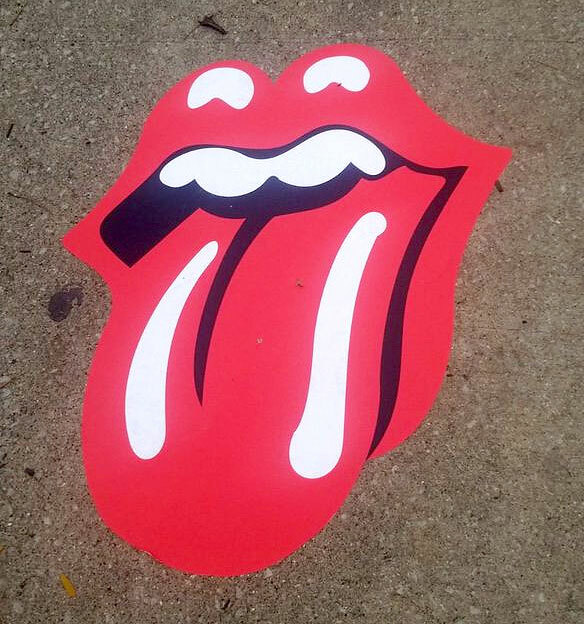 => Dear friends, if you see Stones tongues appearing in US cities, send 'em to me! (zebulon [a] stonesnews-dot-com) It seems, they switched from billboards to tongue pics at walls or on the paths to stir the excitement, hehehe ... The list of possible venues has grown considerably by now - more than 13 cities are in the hope for getting a gig next year: Miami, Houston, New Orleans, Jacksonville, Pasadena, Santa Clara, Denver, Glendale, Philadelphia, Chicago, New York, Boston, Seattle! => Ronnie played yesterday with Ben Waters at Ronnie Scotts! The bournemouthecho.co.uk has a nice review and 12 pics to look at in a gallery: "This show was a wonderful tribute to Chuck Berry who died last year aged 90, a masterful showcase for some of our finest musicians and a whole lot of fun - a brilliant evening all round." Please also enjoy some short videos on Instagram by burdettjeremy and gilliandawood! => Denver, Forborow, Boston, Jacksonville and now New York! NOTHING is official yet, of course, but these are the rumoured venues so far. The tour may start in April and could last until June next year. In any case: it's just WONDERFUL, isn't it?? => Ben Waters Band with special guest Ronnie Wood: A Tribute to Chuck Berry, plus further guests! - that's what it says at Ronnie Scott's website - Dates: Wednesday 14th November 2018 - Thursday 15th November 2018 However: SOLD OUT already! No wonder. Hope we get some decent stream of that!!! November 5 - Start Me Up at Foxborough! => Still some more to come! Rumours are still abounding and all one can hear points to a tour of the US next year, maybe starting in April 2019. We hope for an official announcement a little earlier. And then again, we have both Mick and Keith posting aboubt new music, which is about the new Stones album for sure. In a nutshell: if nothing really bad happens, we can expect a new album and a US tour next year. Let's keep our fingers crossed... yea, I'll keep you posted if any more reliable news comes through, promised!